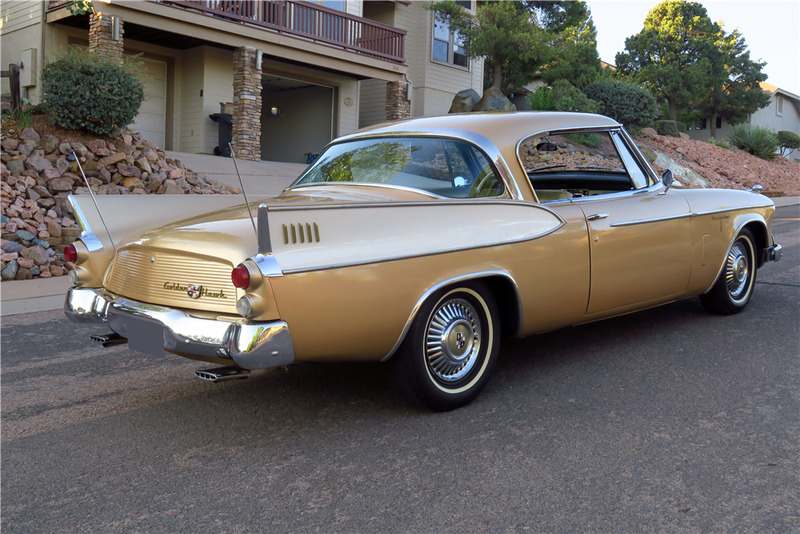 As one of 4,356 manufactured in 1957, this Studebaker Golden Hawk is a garage-kept, driver-quality car. It features the wrap-around rear window and tailfins, and an accented hood. With a long, low stance, the body sits on new whitewall tires and OEM stainless hubcaps. The McCulloch supercharged, 289ci engine propels the car, delivering 275bhp and 380 ft/lbs. 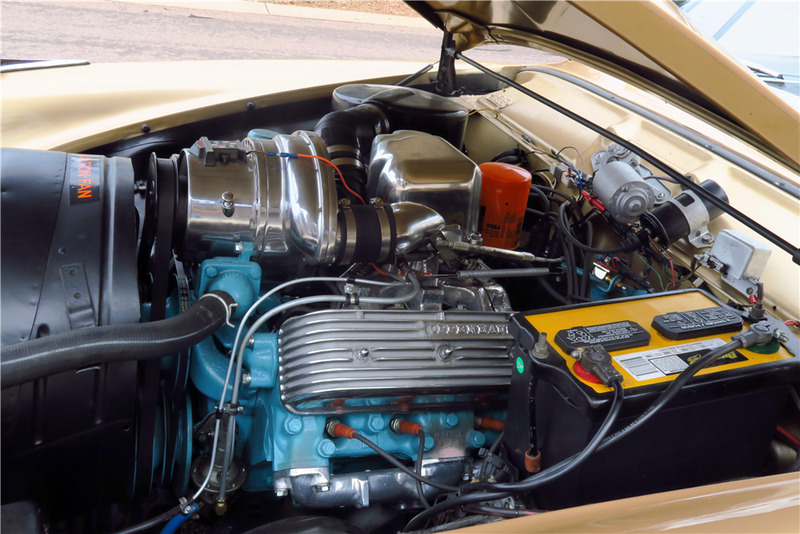 of torque coupled to a 3-speed manual overdrive transmission that connects to a twin-traction limited slip differential. The restoration was done by the previous owner who applied a first-time repaint using the original colors of Tiara Gold and Arctic White. 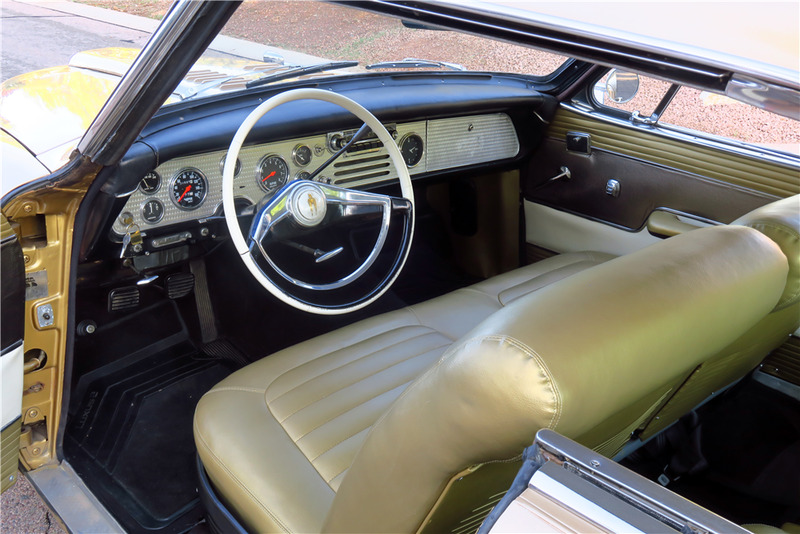 The interior was redone with original materials and is in good condition featuring gold seats and black carpeting that complement the three-tone door panels. In 2008, the drive shaft and U joints were replaced due to a persistent vibration. The carburetor and distributor were also rebuilt. The speedometer, clock and radio were replaced and remain in the Speedster-style instrument panel.